It’s just past the middle of the month and we all know what that means – Rubybox! The ladies at Rubybox were kind enough to send me the May box for review – thanks Rubies! 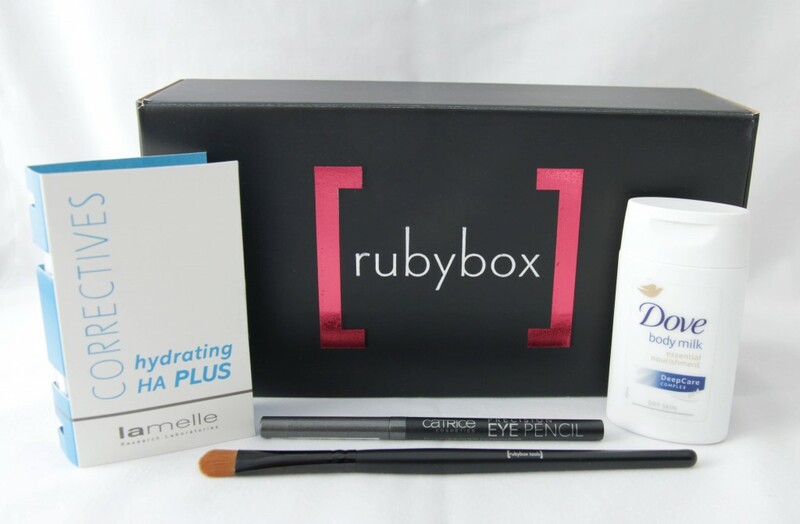 For those of you who haven’t heard of Rubybox, the concept is quite simple actually – it’s a subscription service (no strings attached ladies, you are able to cancel at any time) whereby Rubybox will send you 4 to 5 trial-sized products based on the beauty profile you complete when you sign up. For example, if hair and makeup products are more important to you than skincare and fragrance products, then they will send you a hair care / makeup product in your monthly box as well as other sample products. And sometimes, full-sized products are also included! Anyway, the monthly fee for this is R 119,00 and this includes delivery to your door. You can go read more about the subscriptions here. I love travel-sized products (I’ve mentioned this before) because it gives you the convenience of trying out new products without running the risk of paying full price for something you actually don’t like. I’ve purchased beauty products many a time (based on the reviews of YouTube beauty gurus) – paid for the products as well as international shipping sometimes – and then the products were actually rubbish. The idea of receiving a little box EVERY MONTH filled with surprises gets me excited every second week of the month. When I was a little girl I used to absolutely love ‘lucky packets’ and to me, Rubybox kind of takes me back to that child-like excitement. I took advantage of an awesome promotion last week, where you received a free Balm Balm face balm when you purchased 2 Balm Balm products (a face balm retails for R 139,95). If you read my April Favourites blog post, you would have seen one of my favourites was the ‘Little Miracle Rosehip Serum’ – I love their stuff. I’ll definitely be doing a blog post on the Balm Balm goodies I ordered! You can view previous Rubyboxes here. Anyway, on with the unboxing! This month’s box contained 2 full-sized products, 2 sample-sized products and a voucher – good deal! First we have the Catrice Precision Eye Pencil in ‘Like a Grayer’, it’s a gorgeous soft kohl-like eyeliner. The pigmentation of this liner is great, it’s soft and creamy, and can be blended out for a smoky eye. Then we have a Rubybox eyeshadow brush – this to me, was the star of the box this month. It’s a full-sized brush with soft synthetic bristles. I own a lot of makeup brushes but strangely enough, not a lot of synthetic eyeshadow brushes. I like natural hair brushes for blending and applying powder eyeshadows but I prefer synthetic brushes for applying eyeshadow primers / bases. This brush is much needed in my collection as I own quite a few of the Maybelline 24 Hour Color Tattoo cream shadows but I’m always too lazy to use them as I hate sticking my finger in the pot. And then there’s the hassle of trying to blend it out with my finger, using a makeup remover wipe to clean said finger or running to the bathroom basin to quickly wash my hands before it sets. Ugh, way too much effort. I’ve already tried this stuff and it’s amazing. It’s a clear gel serum, fragrance-free for the most part and leaves the skin feeling hydrated without the silicone feeling you sometimes get with certain serums. Lamelle is a research laboratory based in South Africa with special interest in cosmetic dermatology. 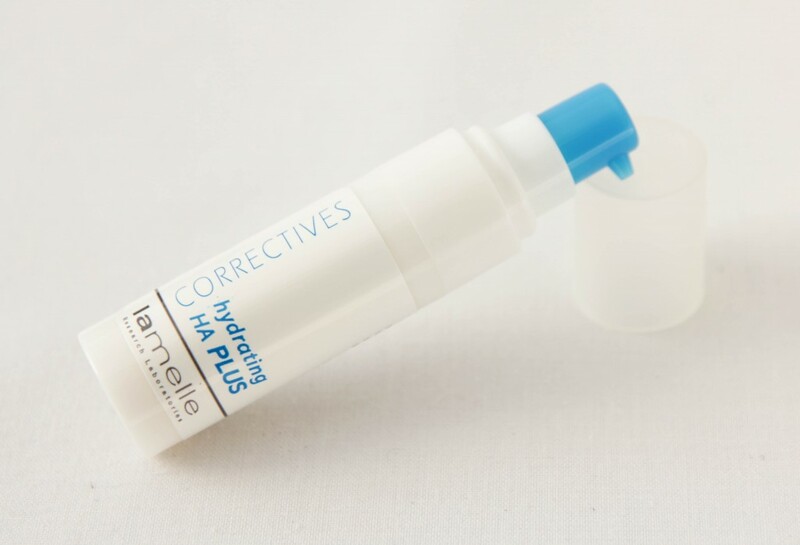 The HA Plus serum contains HAFi fragments (Intermediate Hyaluronic Acid fragments) and we all know what the benefits of Hyaluronic Acid are (if you’re sitting there with a giant question mark on your forehead, here’s the short version: Hyaluronic Acid is actually created in the body and can be found in almost every cell. The molecule binds to water and lubricates the body, like oil in your car. Unfortunately though, its life-span is between 1 to 3 days before it is broken down and excreted). From what I can see on the Lamelle website, HAFi fragments have 5 effects on the skin: They are able to penetrate into the epidermis and dermis, they can attract and bind water into the epidermis and dermis, they can stimulate keratinocytes and fibroblasts to produce additional Hyaluronic acid, they increase keratinocyte and fibroblast proliferation (increase the number of cells), and they can assist in wound healing by encouraging the movement of new keratinocytes across the surface of an injury. Greek for the most part but in essence this stuff will help your skin stay hydrated. Lamelle has already won the ‘Marie Claire Prix D’Excellence De La Beaute 2012 Award’. We are leaving for Cape Town tomorrow (Lush Cosmetics, you better start stocking up!) and this will definitely come in handy. The 50ml size should keep me moisturised for the week – I am so happy I don’t have a pack a big bottle of body lotion (more space in my suitcase for Lush products! 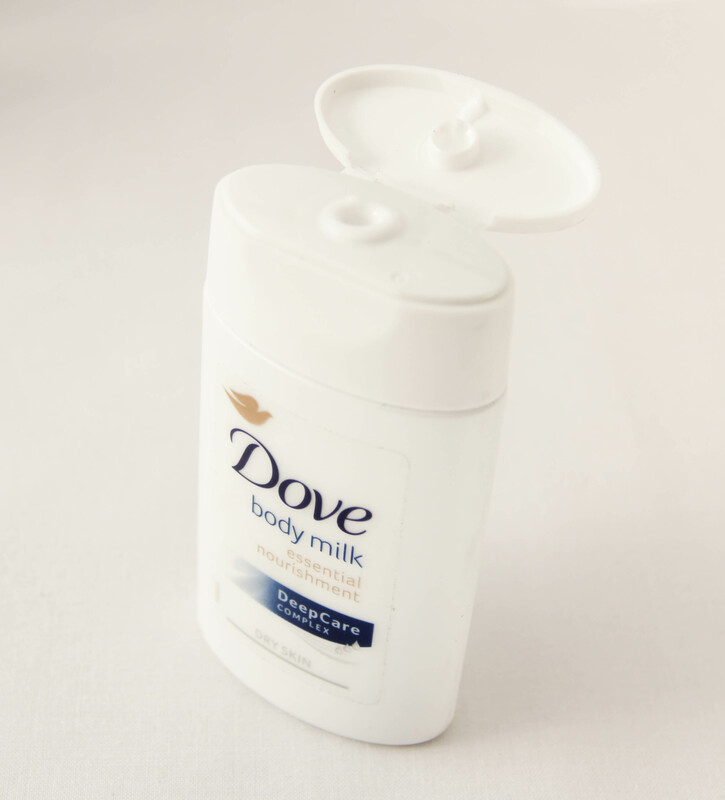 Yes, I am obsessed…) I love the smell of Dove body lotions, the scent is not over powering, so I can wear my perfume without the worry of the body lotion competing. And while we’re on the subject of perfume, my little mountain of perfume samples received in my previous Rubyboxes will also come in handy this holiday! 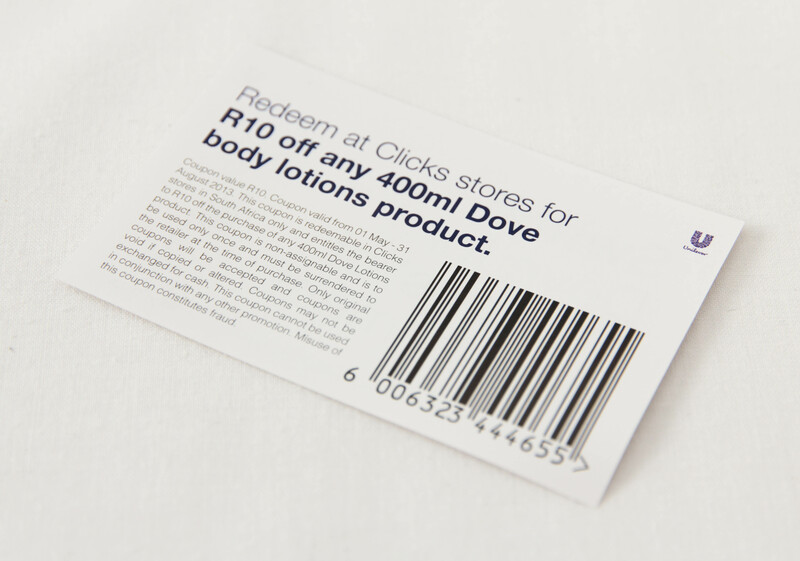 I also received a voucher for R 10.00 off any 400ml Dove body lotion product at Clicks – score! All in all, I’d say this was a great box! Thanks, Rubies! P.S. As you read this we will either be on a plane to Cape Town or we’ll already BE in the Mother City! By this time I’m sure you have raided the Lush shop! Enjoy! Rubybox stuff once again looks great! All those promotions sound like good deals! Thank you for this blog post, I will be checking out the Rubybox website for sure… Did you like to Dove lotion? They have really good deals on quite often! I just recently placed an order for MAC makeup products in their VIP section on their website. And the delivery of the products are super fast, I’ve never had a problem with delivery or any of the products I’ve purchased. This whole Rubybox concept really is a great idea!! I loved the lotion, used up the whole bottle while I was on holiday in Cape Town. I am DENINITELY signing up for Rubybox! Thank you for another wonderful and detailed review. Thank you so much for the compliment, Betsie! I always enjoy reading your comments!